Our rough week ended with a pleasant weekend. 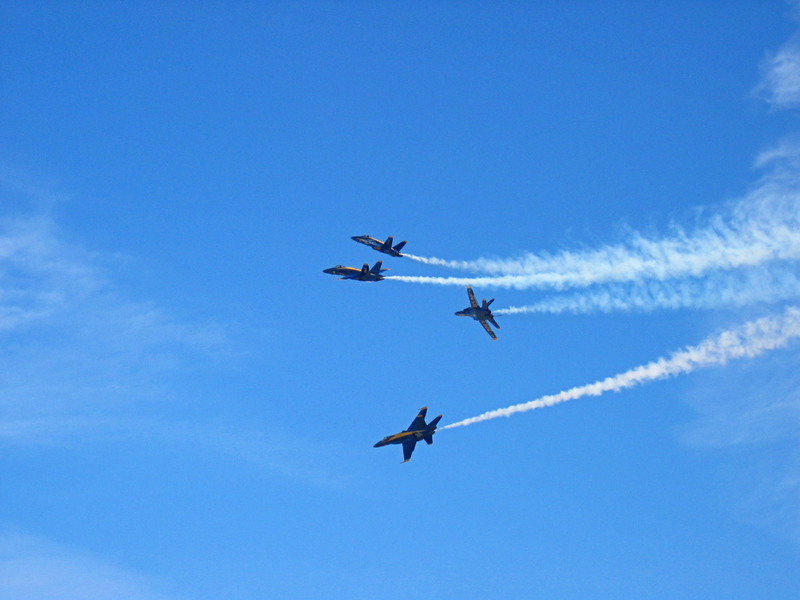 Our kids have never been to an air show, and we thought it would be fun to catch some of the sights of our local air show. 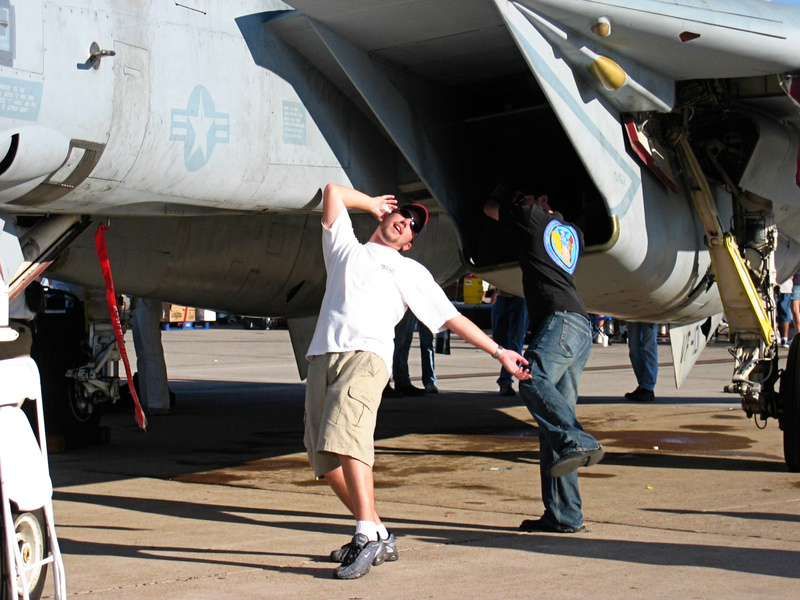 Air shows are kind of a thing in our family. 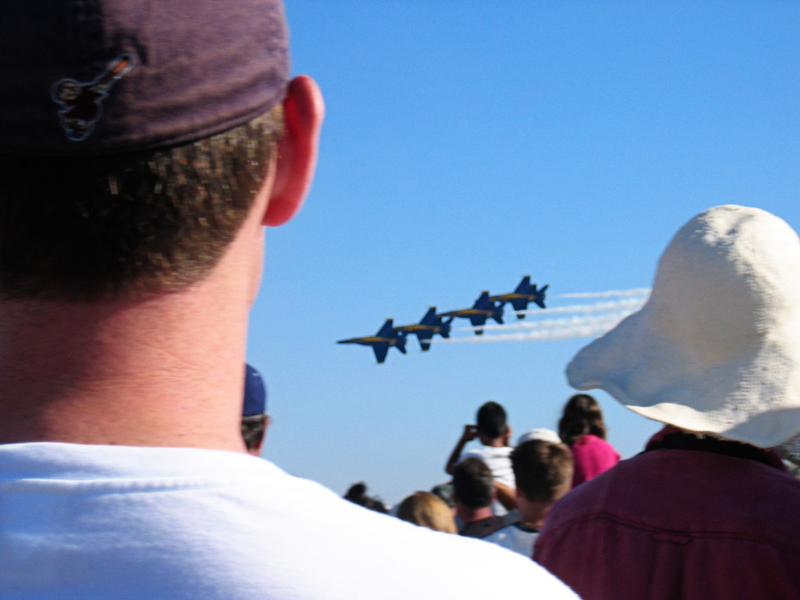 When Hubby and I were dating, we went to the Miramar Air Show. 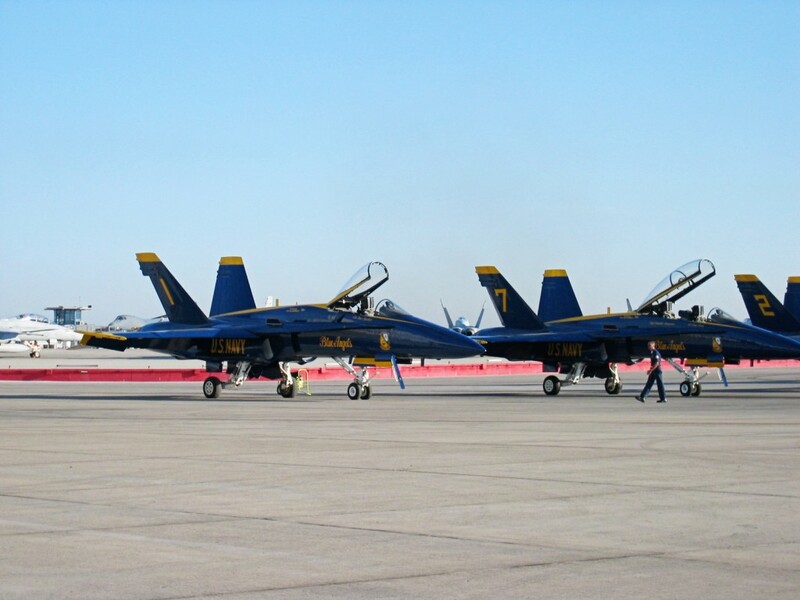 There were tons of amazing planes on the ground we got to go in. 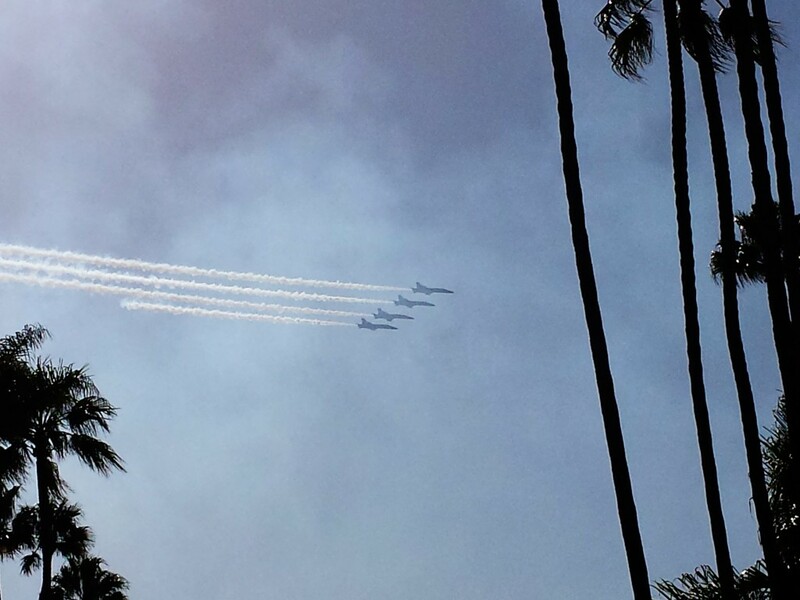 And of course, we had the Blue Angels. 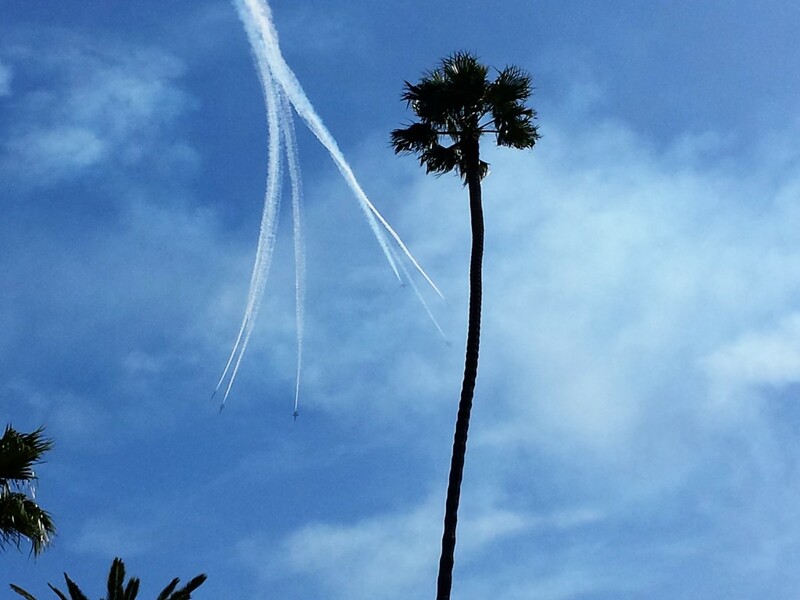 I grew up hearing/bearing them in the summers in San Diego, but it was cool to see their tricks. My husband lived about a mile from the end of Miramar’s runway, so that was a show we’ll never forget. 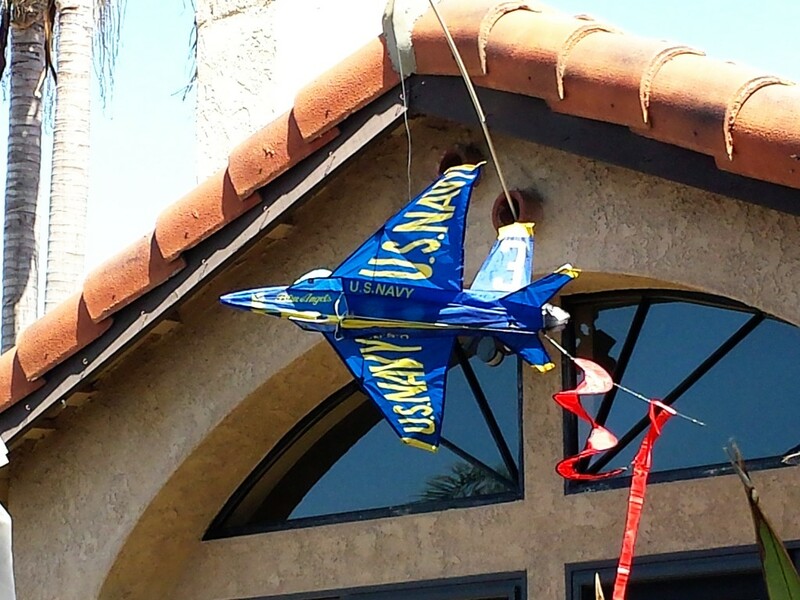 A neighbor had a party on his roof, and the Blue Angels flew so close to the ground you couldn’t help but duck. 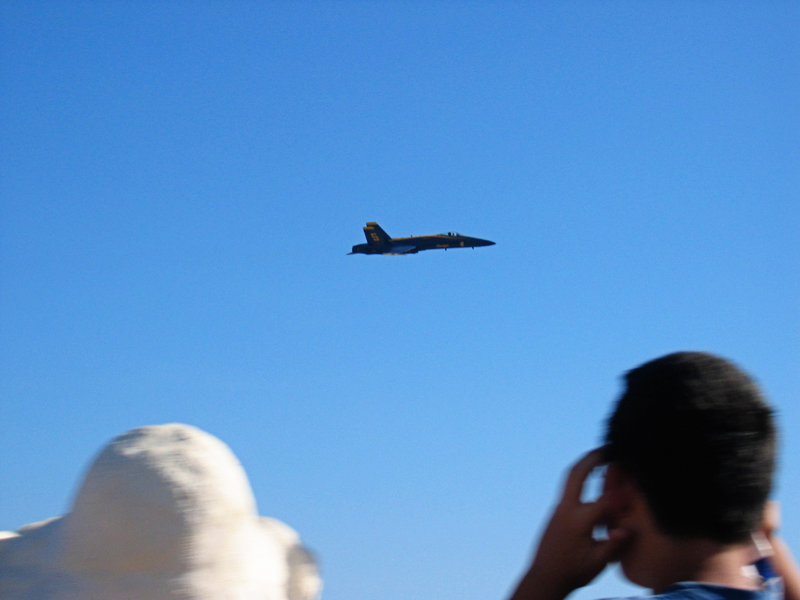 We got to look the pilots in the face as they went by. 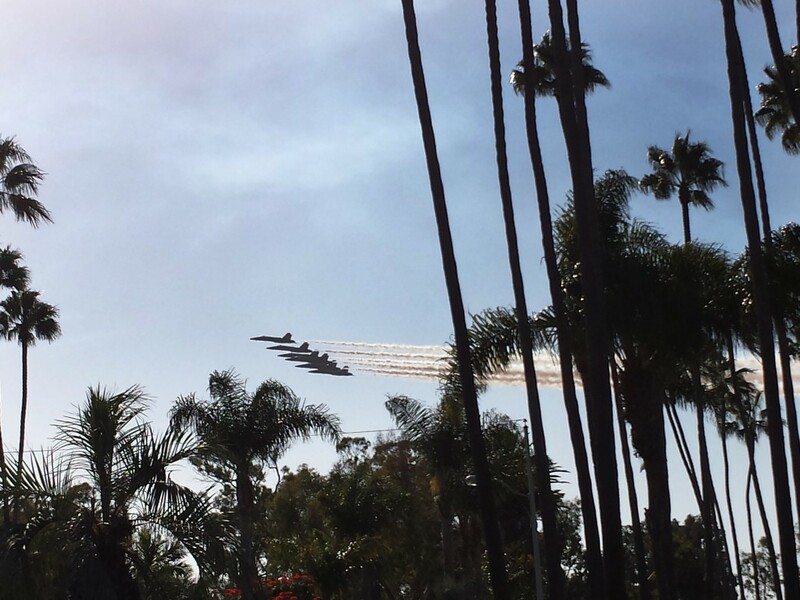 This past weekend, we knew we weren’t up for the parking and crowds of an air show confined to such a tiny metropolitan spot. 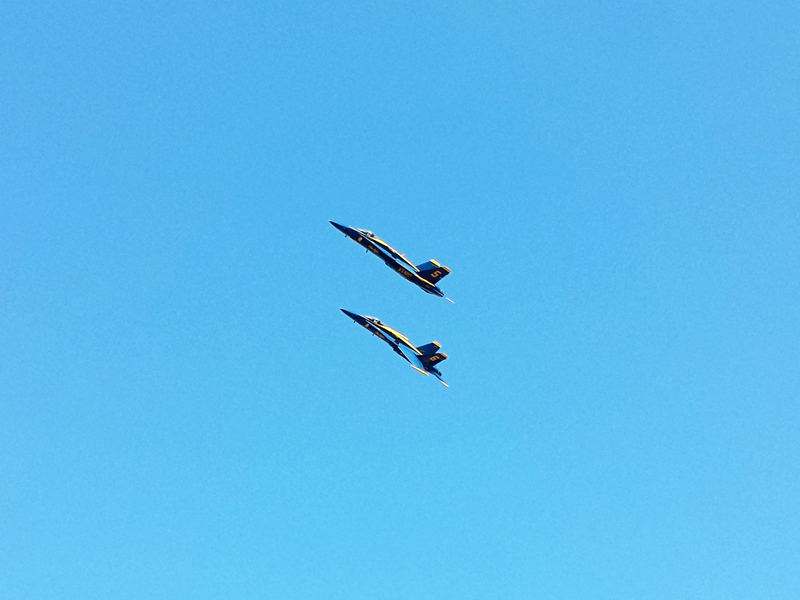 We went to my mother-in-law’s house a mile away from the show, and enjoyed the sights from the park. 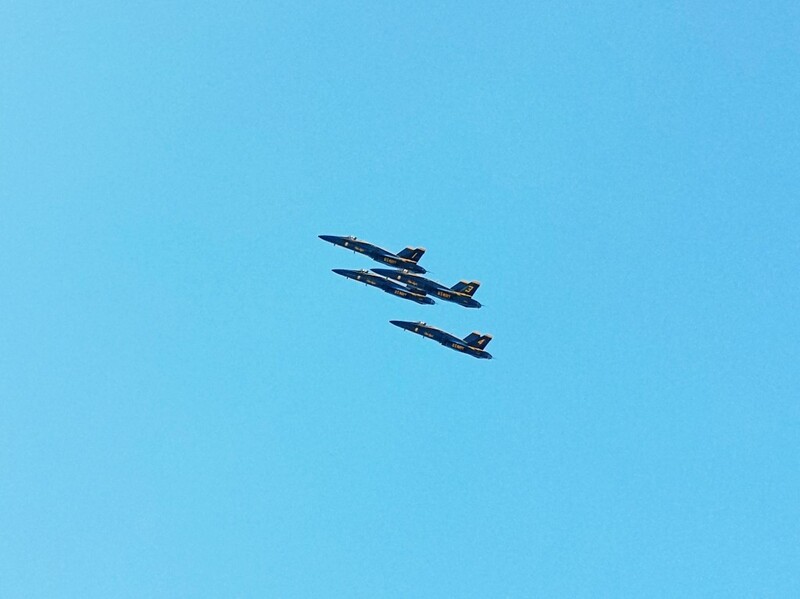 From the play structure, we could see all the tricks, and there was no missing the Blue Angels who flew directly overhead. It was a beautiful, nostalgic day, showing the kids another fun family tradition.